Islamabad: Prime Minister Imran Khan Friday reiterated his government’s commitment to bring tangible changes in the lives of people in lines with the manifesto of Pakistan Tehrik-e-Insaf. He was talking to PTI Members of National Assembly belonging from Kohat and Dera Ismail Khan, who called on him in Islamabad. The Prime Minister said the steps taken for welfare of the people of Khyber Pakhtunkhwa will be extended forward in order to solidify the process of change in education, health and other sectors. 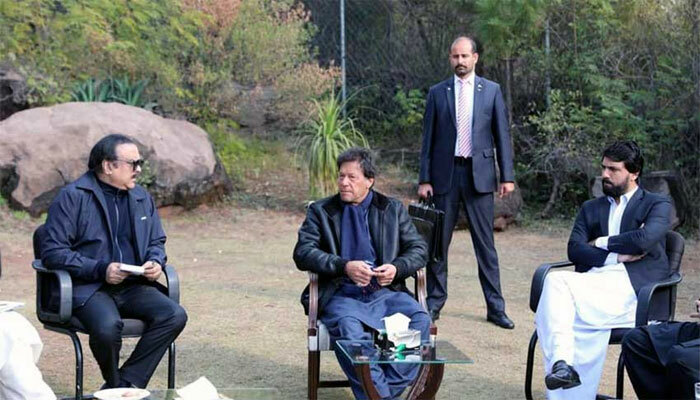 During the meeting, Imran Khan highlighted the immense potential of tourism in Khyber Pakhtunkhwa and said that promotion of tourism will not only benefit the economy of the province, but of the country as well. The Prime Minister assured the members to resolve their problems on priority basis. He directed to devise a plan for provision of drinking water in Karak and Dera Ismail Khan.